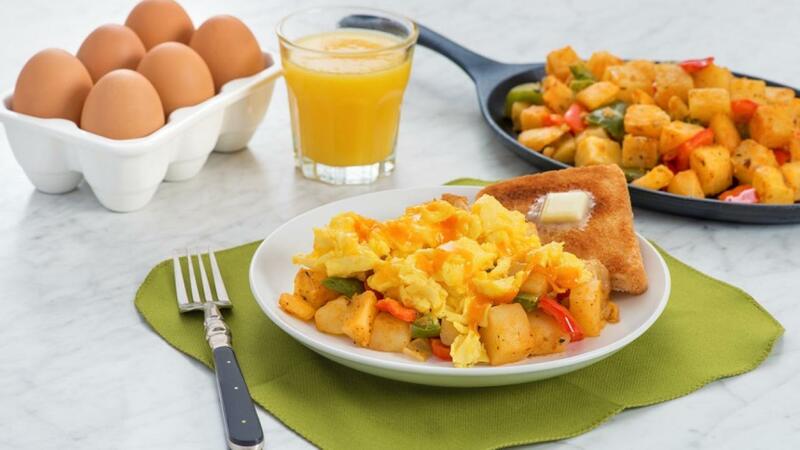 On busy days, start the morning right with a complete and hearty breakfast. Whisk eggs with 1 tbsp (15 mL) water, and half of the salt and pepper. 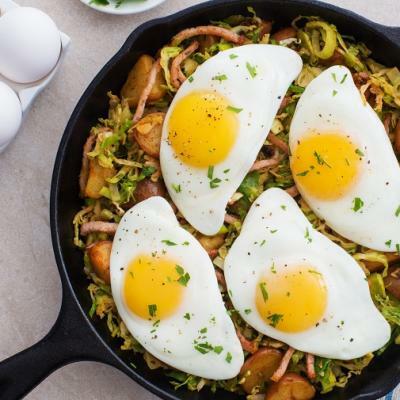 In a large nonstick skillet, melt butter over medium-low heat; pour in egg mixture. Cook, stirring, until soft curds start to form, about 3 to 5 minutes. Remove from heat and stir in cheese. 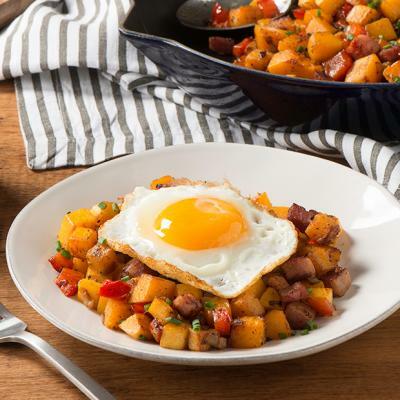 Meanwhile, in separate large nonstick skillet, heat oil over medium-high heat; sauté potatoes, onion, and green and red peppers until vegetables start to soften, 8 to 10 minutes. Stir in paprika, oregano, and remaining salt and pepper. Cook until potatoes are golden and heated through, about 5 minutes. 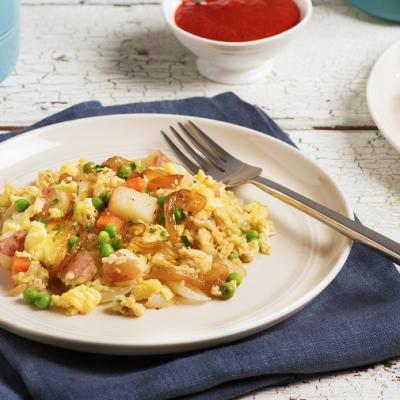 Serve scrambled eggs with potato hash. For added flavour, substitute smoked paprika for paprika.